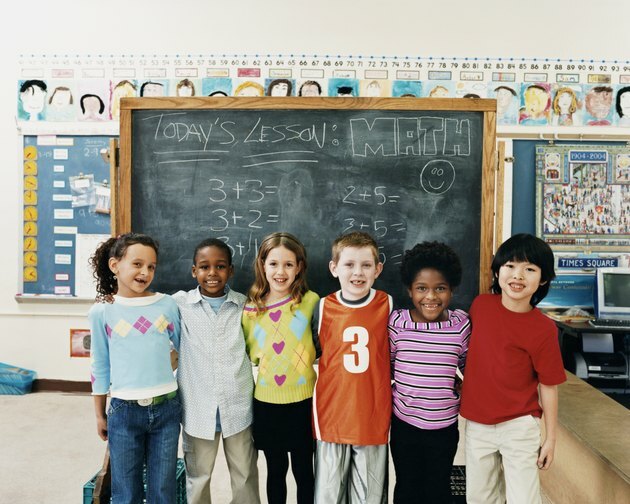 Close to 50 million children attended America's public schools in 2010. Five million more students occupied lockers in private schools. Prekindergarten and kindergarten enrollment numbers are breaking records accoring to the United States Department of Education. More than 3 million teachers dedicate themselves to teaching these youngsters. The important lessons of reading, writing and arithmetic are just three reasons that these children and teachers will fill the classrooms. Family Education lists the development of important social skills as one of the leading reasons to send a toddler to preschool. By interacting with other children at an early age, kids learn how to take turns, how to listen and how to share. Playing with other kids also helps children learn about their own personalities, and their own likes and dislikes. The independence that kids gain in preschool is also a lesson that is hard to learn at home. Social development doesn't stop in kindergarten. Throughout elementary and secondary school, children learn how to negotiate, compromise and interact with their peers. Without learning these valuable skills as children, individuals would struggle in a professional setting when they are old enough to start working. Public School Review explains that children who learn only at home have an individual learning experience, whereas children who learn in school do so through relationships. Learning through relationships is more reflective of the adult world in which people contribute to society by working together. Children in school systems hear other people’s ideas and viewpoints. They learn to merge different beliefs to create their own values and principles. In a school setting children learn to listen to various thoughts before forming their own opinions. According to the Education Commission of the States, more than half of today’s employers insist on hiring people who have at least graduated from high school. That is up from 20 percent in the 1940s. The organization claims that young people with high school diplomas also earn more and are less likely to turn to public assistance or crime than those who haven't graduated. A high school diploma shows colleges, technical schools and potential employers that a student has important life skills such as problem solving abilities, negotiation skills, and the ability to focus. A diploma is not given lightly. It is earned by students who go to school and succeed.